AH were broken into at an early date and are not easy of access to the average tourist. 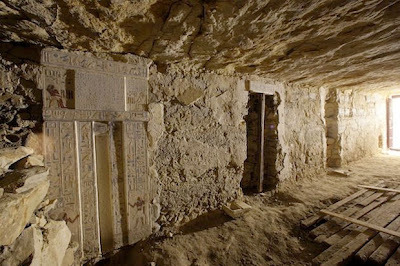 The Kubbet el Hawa, or Dome of the Wind, takes its name from the tiny tomb of a sheikh that rises in lonely silhouette on the summit of the hill almost opposite the northern end of Elephantine. 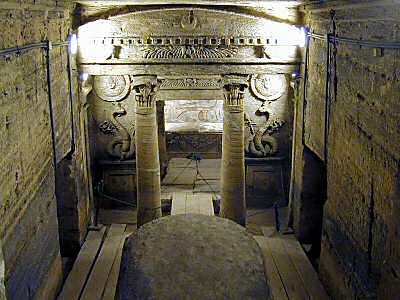 Beneath it, cut into the rock face of the cliff, are the tombs of the noblemen of Elephantine. 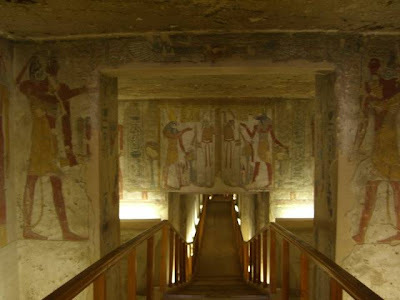 Mekhu was a nobleman of Elephantine in the reign ofPepi II. He held the title Governor of the South. While on an expedition in Wawat (Lower Nubia) his convoy was attacked by desert tribes, and he was killed. When his son Sabni received the news of his father’s death, he quickly mustered a convoy of troops and pack-donkeys to march southwards and recover the body. He informed the pharaoh of his intention and recorded his experience in his tomb, which adjoins the one he built for his father.